If you said this building is Warwick Veterans Junior High, today you would be correct! If you said, Warwick Veterans Middle School, you will be correct for the 2018-2019 school year! If you said, Warwick Veterans Memorial High School, you were correct -- before 2016! 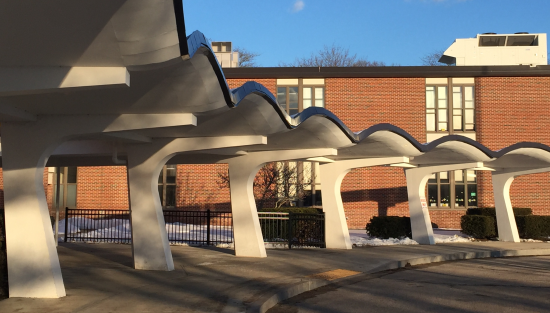 Whether you went to the High School, are attending the Junior High, or will be going to the Middle School -- the entry way is iconic. Warwick Veterans High School was opened in 1956 in response to a population boom in Warwick. Overall student enrollment in the Warwick school district has declined substantially in recent years and it is expected to continue to drop (WPS School Consolidation). Warwick Veterans Memorial High School became Warwick Veterans Junior High in 2016; and, in Phase II, will become Warwick Veterans Middle School, including 6th graders, for school year 2018-2019.
Notable alumni include Bill Almon, a professional baseball player from 1974 to 1988; Damian Constantino, an NCAA record holder with the longest hitting streak in 60 consecutive games; and, Fred Whittingham, an NFL player and coach. Superstitious students sometimes blame their lackluster performances on "the curse" of the school's logo. 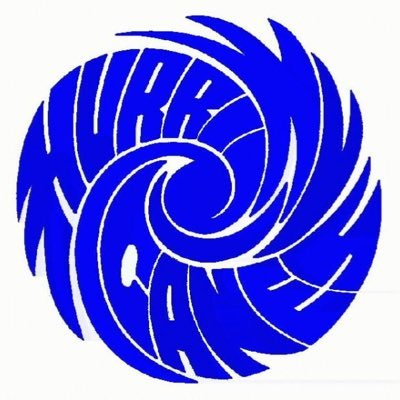 The logo depicts a hurricane spiraling in a clockwise direction and it is common knowledge that hurricanes in the Northern Hemisphere spin in a counterclockwise direction. According to Wikipedia, one possible explanation is the logo creator was in the Southern Hemisphere.